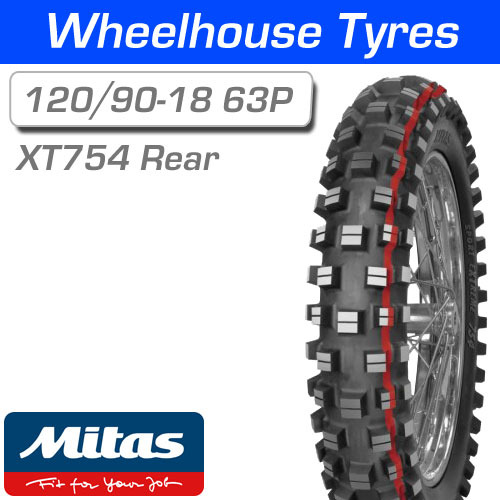 The Mitas XT-754 Extreme rear is an aggresive MX/Green Lane tyre for Soft - Intermediate terrains. The XT-754 is best suited for wet, muddy and slippery conditions. 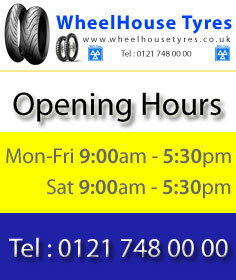 With a very aggressive and open tread pattern for maximum mud clearance, also fantastic in soft sandy conditions. 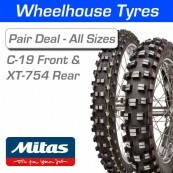 A great alternative to the Mitas C-02 rear for Green Lane and Trail riding in the wetter winter months.